Recall 92764 started on 04/01/2013 by MFR effecting 1,712,336 units. Recall 92765 started on 04/01/2013 by MFR effecting 1,712,336 units. Recall 93550 started on 07/25/2012 by MFR effecting 199,118 units. Summary: Hyundai is recalling certain model year 2007 through 2009 Santa Fe vehicles manufactured from April 19, 2006, through July 7, 2008. The occupant classification system (OCS) may need recalibration to accurately detect small statured adults. Consequence: Improper classification or detection may cause the front passenger airbag not to deploy in the event of a crash, increasing the risk of injury to the front passenger. Remedy: Hyundai will notify owners, and dealers will update the classification software free of charge. 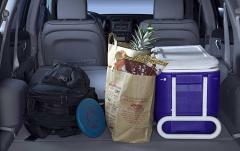 The safety recall began on September 7, 2012. Owners may contact Hyundai at 1-800-633-5151. Notes: Hyundai's recall campaign number is 105.Owners may also contact the National Highway Traffic Safety Administration Vehicle Safety Hotline at 1-888-327-4236 (TTY 1-800-424-9153), or go to www.safercar.gov. Recall 66488 started on 09/09/2011 by MFR effecting 205,233 units. 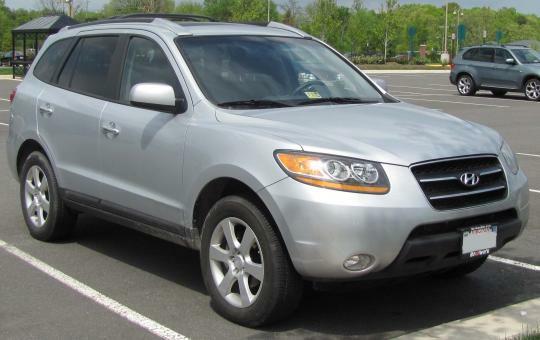 Summary: HYUNDAI IS RECALLING CERTAIN MODEL YEAR 2007-2008 HYUNDAI VERACRUZ VEHICLES MANUFACTURED FROM DECEMBER 26, 2006, THROUGH MARCH 21, 2008, AND MODEL YEAR 2007-2008 HYUNDAI SANTA FE VEHICLES MANUFACTURED FROM APRIL 19, 2006 THROUGH MARCH 20, 2008. THE CLOCK SPRING CONTACT ASSEMBLY FOR THE DRIVER'S AIR BAG SUPPLEMENTAL RESTRAINT SYSTEM (SRS) MAY BECOME DAMAGED THROUGH USAGE OVER TIME. THE DRIVER'S AIR BAG ELECTRICAL CIRCUIT WILL EXPERIENCE A HIGH RESISTANCE CONDITION, POTENTIALLY CAUSING THE DRIVER'S AIR BAG TO NOT DEPLOY. Consequence: IF THE CLOCK SPRING DEVELOPS HIGH RESISTANCE, IN THE EVENT OF A CRASH, THE DRIVERS AIR BAG WILL NOT DEPLOY AND WILL NOT BE ABLE TO PROPERLY PROTECT THE DRIVER, INCREASING THE RISK OF INJURIES. Remedy: HYUNDAI DEALERS WILL REPLACE THE VEHICLE'S DRIVER'S AIR BAG CLOCK SPRING CONTACT ASSEMBLY FREE OF CHARGE. 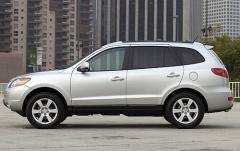 THE SAFETY RECALL BEGAN IN NOVEMBER 2011. OWNERS MAY CONTACT HYUNDAI CUSTOMER CONNECT CENTER AT 1-800-633-5151. Notes: HYUNDAI'S SAFETY RECALL CAMPAIGN NUMBER IS 103,OWNERS MAY ALSO CONTACT THE NATIONAL HIGHWAY TRAFFIC SAFETY ADMINISTRATION'S VEHICLE SAFETY HOTLINE AT 1-888-327-4236 (TTY 1-800-424-9153), OR GO TO HTTP://WWW.SAFERCAR.GOV . Recall 87597 started on 04/15/2009 by ODI effecting 532,633 units. Summary: HYUNDAI IS RECALLING 532,633 MY 2006-2007 ACCENT, ENTOURAGE, SONATA, MY 2007 AZERA, ELANTRA AND SANTA FE, MY 2005-2007 TUCSON AND MY 2007-2008 VERACRUZ VEHICLES. THE STOP LAMP SWITCH IN THE AFFECTED VEHICLES MAY MALFUNCTION. A MALFUNCTIONING STOP LAMP SWITCH MAY CAUSE THE BRAKE LIGHTS TO NOT ILLUMINATE WHEN THE BRAKE PEDAL IS DEPRESSED OR MAY CAUSE THE BRAKE LIGHTS TO REMAIN ILLUMINATED WHEN THE BRAKE PEDAL IS RELEASED. 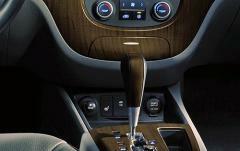 A STOP LAMP SWITCH MALFUNCTION MAY ALSO AFFECT THE OPERATION OF THE BRAKE-TRANSMISSION SHIFT INTERLOCK FEATURE SO THE TRANSMISSION SHIFTER WOULD NOT BE ABLE TO BE SHIFTED OUT OF THE PARK POSITION. IT MAY ALSO CAUSE THE ELECTRONIC STABILITY CONTROL (ESC) MALFUNCTION LIGHT TO ILLUMINATE, AND IT MAY NOT DEACTIVATE THE CRUISE CONTROL WHEN THE BRAKE PEDAL IS DEPRESSED. Consequence: ANY OF THESE MALFUNCTIONS, ALONE OR IN COMBINATION, MAY LEAD TO A CRASH. 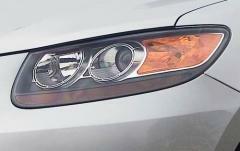 Remedy: DEALERS WILL REPLACE THE STOP LAMP SWITCH FREE OF CHARGE. THE RECALL BEGAN ON JUNE 29, 2009. OWNERS MAY CONTACT THE HYUNDAI CUSTOMER ASSISTANCE CENTER AT 1-800-633-5151. 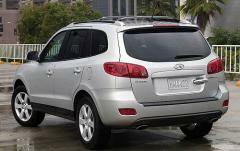 Notes: HYUNDAI RECALL NO. 092.OWNERS MAY ALSO CONTACT THE NATIONAL HIGHWAY TRAFFIC SAFETY ADMINISTRATION'S VEHICLE SAFETY HOTLINE AT 1-888-327-4236 (TTY 1-800-424-9153), OR GO TO HTTP://WWW.SAFERCAR.GOV . Recall 75228 started on 09/03/2008 by MFR effecting 3,387 units. Summary: HYUNDAI IS RECALLING 3,387 TRAILER HITCH WIRING HARNESSES EITHER INCLUDED WITH A TRAILER HITCH OR SOLD AS A SERVICE PART MANUFACTURED BY THULE TOWING SYSTEMS AND DISTRIBUTED BY HYUNDAI FOR INSTALLATION ON MY 2007-2008 SANTA FE AND VERACRUZ VEHICLES. THE ACCESSORY TRAILER HITCH WIRING HARNESS CONVERTER MODULE IS MOUNTED TO THE TOP SURFACE OF THE REAR BUMPER REINFORCEMENT. SOME CIRCUIT BOARD COMPONENTS MAY NOT HAVE BEEN THOROUGHLY SEALED TO PREVENT MOISTURE CONTACT. THE MOISTURE MAY RESULT IN CIRCUIT BOARD CORROSION POSSIBLY CAUSING A SHORT CIRCUIT. Consequence: A SHORT CIRCUIT CAN CAUSE OVERHEATING AND DAMAGE TO THE CONVERTER MODULE, POSSIBLY RESULTING IN A FIRE. Remedy: THIS RECALL SUPERSEDES A PREVIOUS RECALL CONDUCTED BY HYUNDAI AFFECTING THE SAME TRAILER HITCH WIRING COMPONENTS CONCERNING HIGH CURRENT LEAKAGE OR A SHORT CIRCUIT OF CAPACITOR C1. (PLEASE SEE 08E016). OWNERS WHO HAVE ALREADY HAD THEIR TRAILER HITCH REPAIRED UNDER THE INITIAL CAMPAIGN WILL RECEIVE A SECOND NOTICE FROM HYUNDAI TO HAVE THE NEWLY DESIGNED HARNESS INSTALLED. 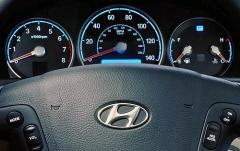 HYUNDAI WILL NOTIFY ALL OWNERS AND WILL REPAIR THE AFFECTED HARNESSES FREE OF CHARGE. THE RECALL BEGAN ON OCTOBER 13, 2008. OWNERS MAY CONTACT HYUNDAI CUSTOMER ASSISTANT CENTER AT 1-800-633-5151. Notes: HYUNDAI'S RECALL NO. 082.CUSTOMERS MAY CONTACT THE NATIONAL HIGHWAY TRAFFIC SAFETY ADMINISTRATION'S VEHICLE SAFETY HOTLINE AT 1-888-327-4236 (TTY: 1-800-424-9153); OR GO TO HTTP://WWW.SAFERCAR.GOV. Recall 72858 started on 06/19/2008 by MFR effecting 88,943 units. 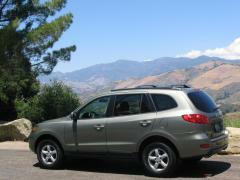 Summary: HYUNDAI IS RECALLING 88,943 MY 2007-2008 HYUNDAI SANTA FE VEHICLES EQUIPPED WITH P235/60R18 TIRES. 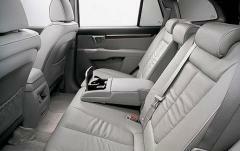 THESE VEHICLES FAIL TO COMPLY WITH THE LABELING REQUIREMENTS OF FEDERAL MOTOR VEHICLE SAFETY STANDARD NO. 110 "TIRE SELECTION AND RIMS FOR MOTOR VEHICLES." THE BLACK CERTIFICATION LABEL AFFIXED TO THE DRIVER'S SIDE CENTER PILLAR, INCORRECTLY LISTS THE GROSS AXLE WEIGHT RATINGS (GAWR). Consequence: OVERLOADING YOUR VEHICLE MAY ADVERSELY AFFECT HANDLING AND BRAKING AND MAY CAUSE TIRE DAMAGE, RESULTING IN TIRE FAILURE AND A CRASH WITHOUT WARNING. 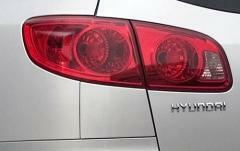 Remedy: HYUNDAI WILL MAIL CORRECTED CERTIFICATION LABELS ALONG WITH THE INSTRUCTIONS TO THE AFFECTED OWNERS. 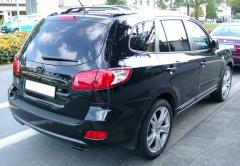 THE CUSTOMER WILL HAVE THE OPTION FOR DEALERS TO INSTALL THE LABEL FREE OF CHARGE. THE RECALL BEGAN ON AUGUST 5, 2008. OWNERS MAY CONTACT HYUNDAI AT 1-800-633-5151. 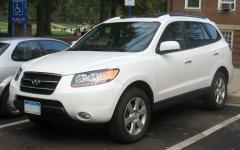 Notes: HYUNDAI RECALL NO. 084.CUSTOMERS MAY ALSO CONTACT THE NATIONAL HIGHWAY TRAFFIC SAFETY ADMINISTRATION'S VEHICLE SAFETY HOTLINE AT 1-888-327-4236 (TTY 1-800-424-9153), OR GO TO HTTP://WWW.SAFERCAR.GOV. Recall 75262 started on 02/07/2008 by MFR effecting 3,387 units. Summary: THIS RECALL HAS BEEN SUPERCEDED BY RECALL 08E-055. 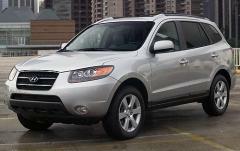 HYUNDAI IS RECALLING 3,387 TRAILER HITCH WIRING HARNESSES EITHER INCLUDED WITH A TRAILER HITCH OR SOLD AS A SERVICE PART MANUFACTURED BY THULE TOWING SYSTEMS AND DISTRIBUTED BY HYUNDAI FOR INSTALLATION ON MY 2007-2008 SANTA FE AND VERACRUZ VEHICLES. THE ACCESSORY TRAILER HITCH WIRING HARNESS CONVERTER MODULE IS MOUNTED TO THE TOP SURFACE OF THE REAR BUMPER REINFORCEMENT. HIGH CURRENT LEAKAGE OR A SHORT CIRCUIT OF CAPACITOR C1 COULD CAUSE HEAT RELATED DAMAGE TO THE WIRING HARNESS CONVERTER MODULE. 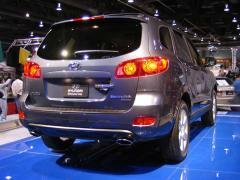 Consequence: EXCESSIVE HEAT MAY CAUSE DAMAGE TO THE REAR BUMPER AREA AND MAY POTENTIALLY RESULT IN A FIRE. Remedy: HYUNDAI WILL NOTIFY OWNERS AND WILL REPLACE THE TRAILER HITCH WIRING HARNESS FREE OF CHARGE. THE RECALL BEGAN ON MARCH 31, 2008. OWNERS MAY CONTACT HYUNDAI AT 1-800-633-5151. Notes: HYUNDAI RECALL NUMBER 082.CUSTOMERS MAY CONTACT THE NATIONAL HIGHWAY TRAFFIC SAFETY ADMINISTRATION'S VEHICLE SAFETY HOTLINE AT 1-888-327-4236 (TTY: 1-800-424-9153); OR GO TO HTTP://WWW.SAFERCAR.GOV. Recall 46651 started on 08/31/2006 by MFR effecting 139 units. Summary: ON CERTAIN SPORT UTILITY VEHICLES, THE WALL THICKNESS OF THE RIGHT FORWARD BAFFLE OF THE FUEL TANK MAY BE BELOW SPECIFICATIONS. Remedy: DEALERS WILL INSPECT THE FUEL TANKS AND, IF NECESSARY, REPLACE THEM. ALL VEHICLES ARE EITHER STILL AT THE MANUFACTURING PLANT OR IN DEALERSHIPS. NO VEHICLES HAVE BEEN SOLD TO CONSUMERS. 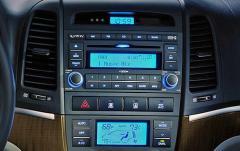 Notes: HYUNDAI RECALL NO. 077.CUSTOMERS MAY ALSO CONTACT THE NATIONAL HIGHWAY TRAFFIC SAFETY ADMINISTRATION'S VEHICLE SAFETY HOTLINE AT 1-888-327-4236 (TTY 1-800-424-9153), OR GO TO HTTP://WWW.SAFERCAR.GOV.